“Well what can I say” This enormous three bedroom villa is pure class!! Pride Rentals has got some remarkable properties on its books, but I have to say this is my personal favorite. This extremely comfortable villa is located just 3km from Albena, which is considered one of the most exclusive resorts on the coast. Albena is a large and modern holiday centre with a 5 km long wide white sandy beach. There is an excellent selection of bars, cafes and restaurants, and the large hotels can offer daytime visitors a great range of spa, health and beauty treatments if you are in the mood to pamper yourself. 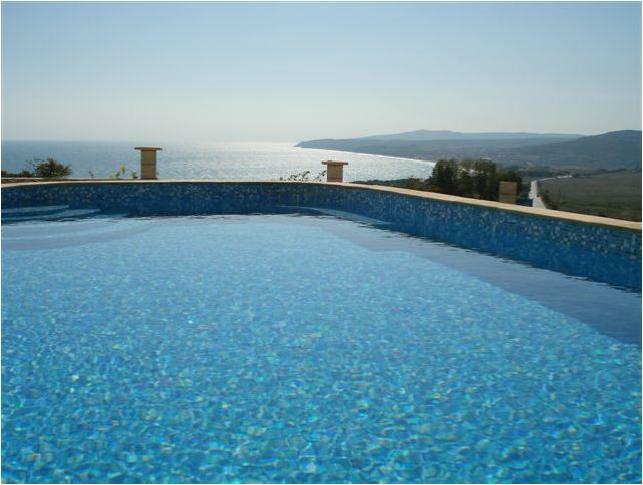 This first class villa is newly built and furnished to a high standard throughout. There is an excellent large open plan living, kitchen, dining room, all with stunning views towards the most exclusive resorts on the black sea coast. 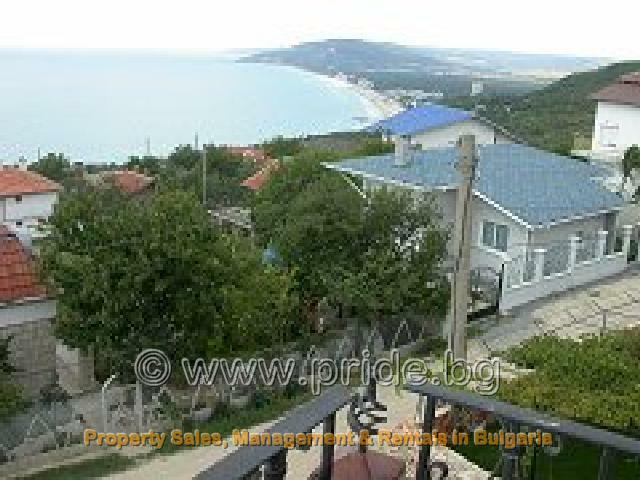 I do have to say that you get a better view of Albena and the black sea coast from this villa than any hotel can offer in the resort of Albena. 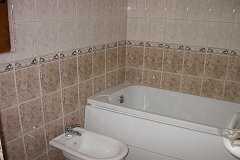 There are three good sized double/twin bedrooms (Master bedroom with en-suite). Due to the size of this property it has two bathrooms, one with full size bath, and one with a shower cubical, along with a separate toilet for convenience. The property benefits from air conditioning through out, and has a large open fire for those of you who just want a cosy night in. 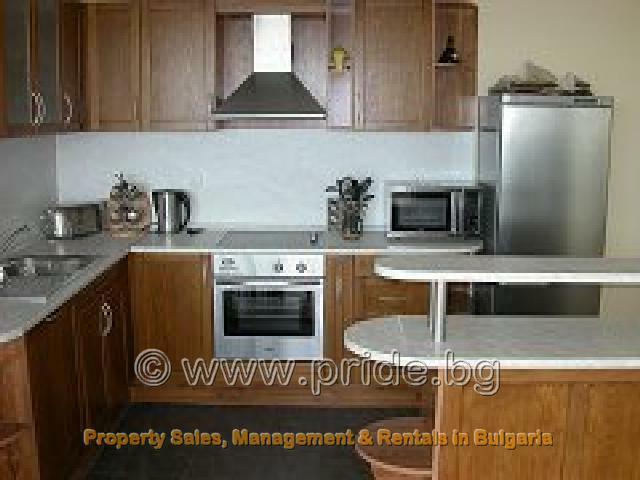 The kitchen is fully equipped with all the necessary items to help you enjoy your holiday. Along with this rental villa comes a private pool and a large BBQ area. So during the long summer nights you can sit back relax, and just watch the sun disappear behind the long white sandy beach, that is the resort of Albena. A few minutes walk from this property is a restaurant, bars, and a shop offering everything you might need to help you settle into this (YES) “remarkable property”. 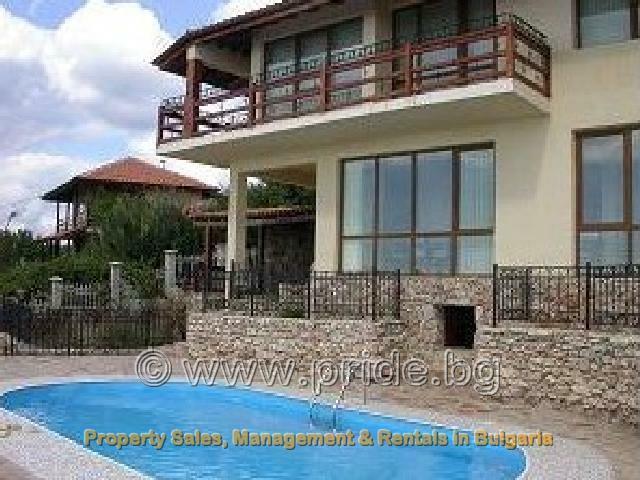 Remember with Pride Rentals Bulgaria, we offer all our rental villas and rental apartments, free advance bookings, Airport transfers, Guest registration, local information brochure and 24 hour emergency assistance.